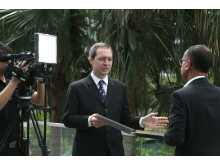 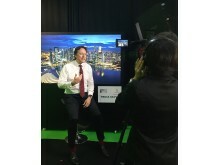 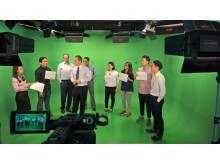 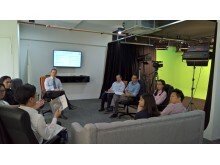 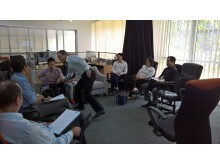 Participants were interviewed for their personal branding videos by ex-CNBC anchor and HBM CEO Mark Laudi. 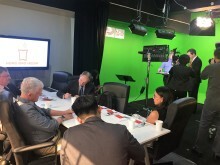 Launch guests were invited to complete 7 questions about themselves and their businesses, and deliver the answers to camera. 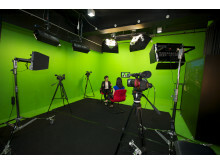 We have all the facilities you would expect in a TV studio, including make-up. 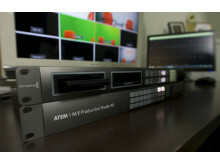 Our installed vision mixing equipment in a separate control room allows us to respond quickly to urgent programming requests. 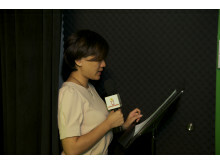 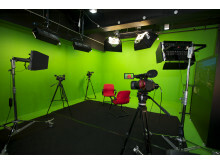 Our studio is located in the Central Business District - yet is quiet and vibration free. 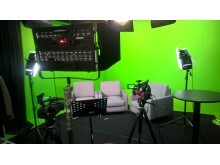 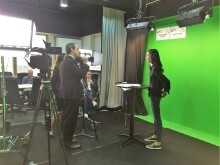 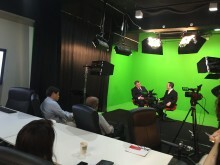 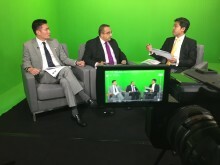 Adjoining the TV studio is our intimate training room for Senior Leadership Teams and 1-on-1 training.